The church is not immune to our surrounding culture. In a time of massive and continual change, we’re surrounded by partisan politics, polarizing pundits and contagious apathy. How do we live a life of hope-full faith, actively living into the kingdom of God? 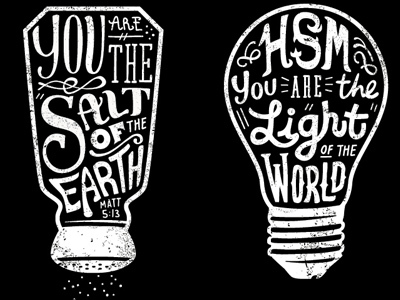 How do we live the fundamentals of Christian faith – that we are called to be like mustard and yeast in a stuck world, live as the light of the world and the salt of the earth. To what are we to be faithful… tradition? The institution of the Church? The past? The future? Ourselves? Jesus? – how do we decide? Today’s scripture continues the philosophical questioning of Jesus by his adversaries trying to trap him in a contradiction or an heretical affirmation. A different religious authority group questions him in each paragraph. First, the Pharisees ask him about the legality of paying taxes to the imperial occupying power of Rome. The Pharisees were a nationalist party, wanting nothing to do with foreign culture and Roman gods. Jesus walks upon a razor’s edge. If we says no to paying taxes, he could be arrested by the Romans for fostering insurrection. If he fully supports the paying of taxes and thus the support of Rome, he is selling out his own people, committing an unforgivable cultural accommodation that is both heretical and an abandonment of what the Jews knew to be true. Jesus gives an ingenious and complexly simple answer. Romans coins usually had the image or portrait of the Emperor on them. As such they were considered idolatrous by Jewish thought, which only used plants and flowers on minted coins. Following their defeat, the Sadducees come forward. They are more wealthy and aristocratic than the Pharisees. They also don’t believe in the resurrection of the body or the soul. They ask a trick question based upon a loose interpretation of First Testament exhortations for a brother to take care of his brother’s widow. But it’s all comical. They ask Jesus a question that they themselves deem illogical and foolish. Jesus responds, pointing to their hypocrisy and partisan politics. Third, the Scribes come forward. Experts in the written Torah and its transmission, they are beguiled and bewildered by Jesus’ complexly simple and subversively orthodox summary of what it means to observe and obey the law of God (live a Godly life). The questioning isn’t intended for a true deep theological reflection, rather to trap and divide. Yet Jesus in his simple and deep wisdom reorients the conversations (and thus the people) to the simplicity of faith – what we might call the fundamentals. Elsewhere he describes faithful living, aka discipleship, as being the light of the world, the salt of the earth, living with the subversive characteristics of mustard seeds and the transformative power of yeast. What word, phrase or image in this text shimmers for you? How do you struggle to be a consistent disciple of Jesus in today’s culture and socio-political climate? What is fundamental for you in your Christian faith? This entry was posted on October 22, 2015 by Monte McClain in Uncategorized and tagged Blogging Towards Sunday.